I love to wake up on Saturday mornings to find Ailsa’s weekly travel theme from Where’s My Backpack waiting in my inbox. 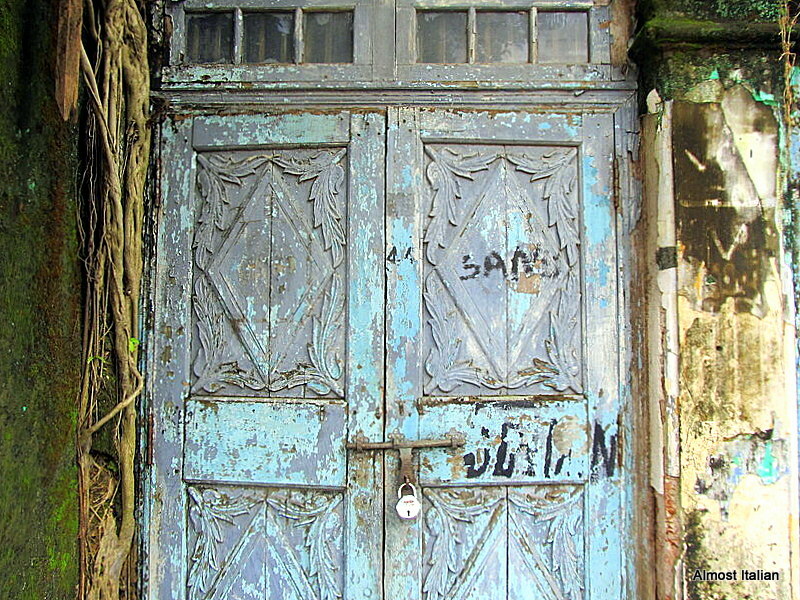 Today it’s doorways, so let’s go to Fort Cochin in Kerala, India, for 50 shades of Blue. Fantastic doors Francesca, loads of character! Thanks Sandra, you know a lot about Indian doorways- they are enchanting. Thanks, yes, Cochin isn’t short of character. I Love blue so much. These are beautiful pictures, and I agree, so much character. I love this faded blue too- so hard to copy – needs time and weathering. 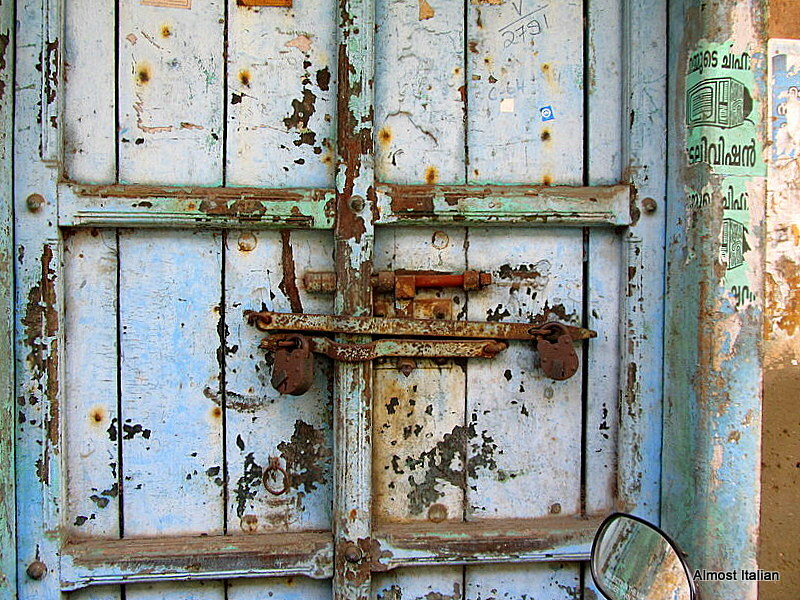 I have quite a few more- was obsessed with these old doors in India. The tip of the doorway iceberg. Amazed you have so many photos of lovely doors. I have a few somewhere I think, but my archive is not the greatest so it would take ages to find them. Great idea, though. So many door shots to choose from in the files- we are slightly obsessed I think. 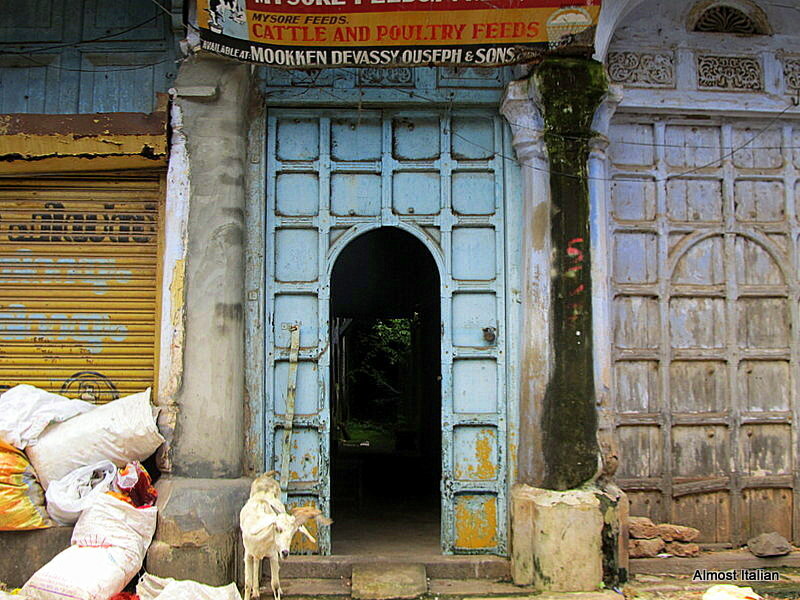 Thanks Ardys- the doors in India are intriguing. Wouldn’t mind one of those doors here! Wonderful! I love that bright blue doors! You weren’t kidding about all that blue. 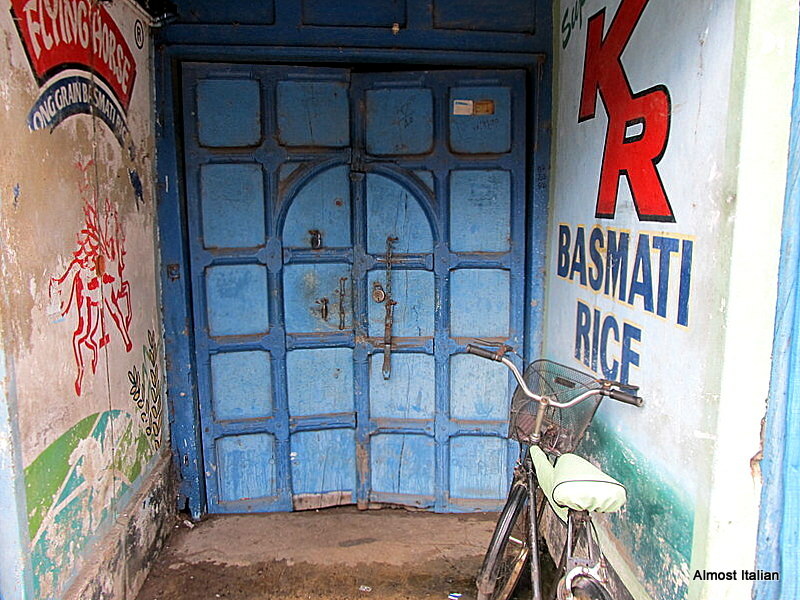 Is there some reason for using blue on doors in India or did you just look for blue doors? They were all there in a old colonial warehouse district in Cochin. A photographer’s dream. Lovely shades of blue indeed, Francesca! Thankyou- kerala is a visual treat. Thanks Stefano- India is always a source of goof shots for me. What an intriguing collection! I want to know more about each one of those doors and the trip behind them. They are intriguing- they were located in a colonial warehouse area in Cochin. Many are slowly falling apart. Yes, the old areas often have he best doors. 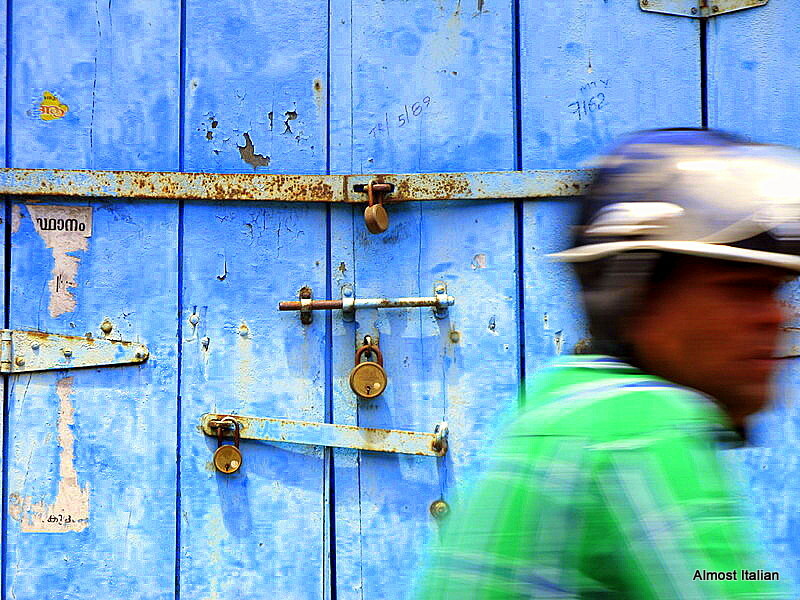 I have so many more blue doors in this series- I just love them and wish I could pop back to Kerala. I agree- doors make a great photographic subject in any country. Oh, the different shades of blue on those doors! Absolutely beautiful. 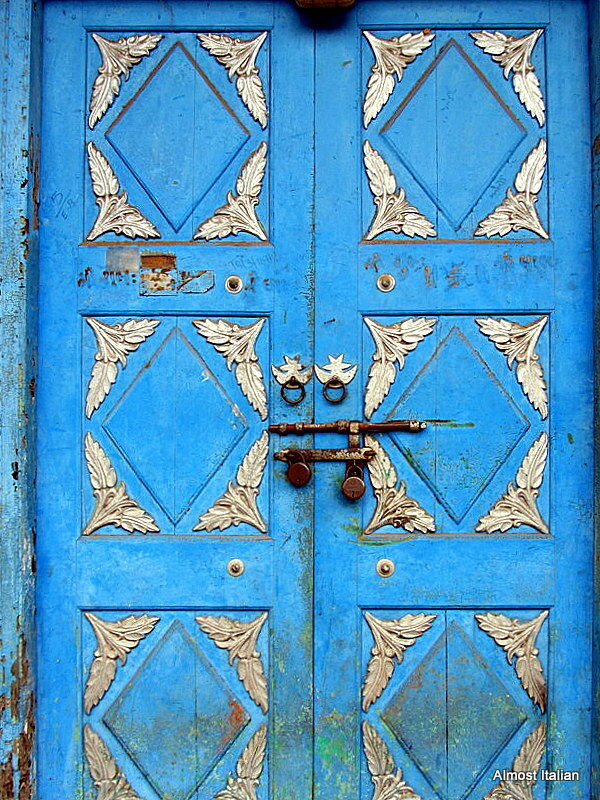 Fabulous photos and fabulous doors. I enjoy taking photos of doors especially in Asia. They don’t have to be ornate just simple and functional. I also like to photograph rubbish bins! Hi Louise, It’s time to dig out those old pics and get them digitalised- nice memories. Those backwaters are such a treat. Previous Previous post: Australia Day 2015.